Photo by Miranda Sebroski Alan Skelly, CEO of Pike Island Energy, discusses plans and updates for a hydroelectric plant at Pike Island Lock and Dam with Yorkville Council members at a meeting Tuesday evening. 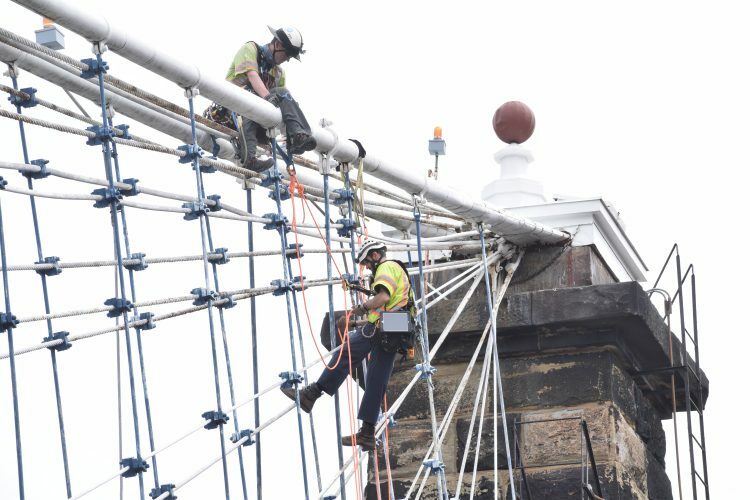 YORKVILLE — Plans for an estimated $200 million hydroelectric plant at Pike Island Locks and Dam in the Ohio River are continuing to develop. Alan Skelly, CEO of Pike Island Energy, attended a Yorkville Council meeting on Tuesday, seeking feedback on his plans to build a 48-megawatt plant, which he said would generate enough electricity for about 22,000 homes. Skelly said the proposed six-turbine plant at Pike Island would be located on the portion of the dam closest to Ohio to allow river vessels to pass through the locks portion of the facility. 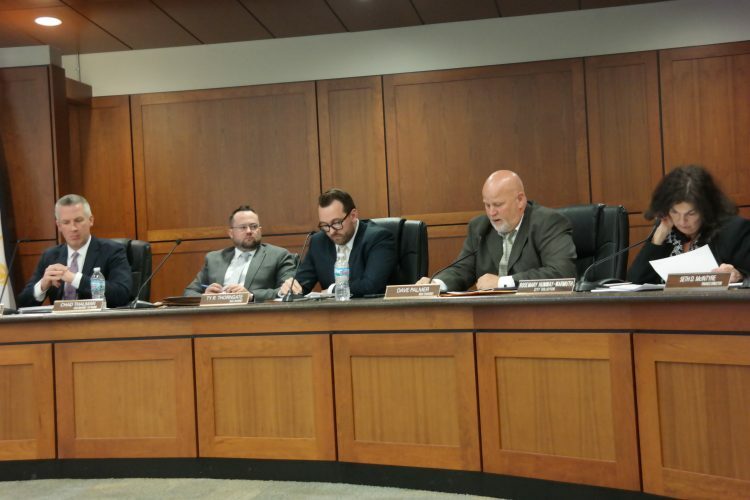 The project has been discussed with Tiltonsville and Yorkville officials since 2017. Skelly said the current state of the project is in the licensing process that will take two years to complete. He said after that is complete, there will be the construction process that will take another two years. Skelly said that the city would need to examine their options, find out the cost of such a venture and whether any laws would go against it. He added that he was considering pursuing a grant to conduct this study. Skelly also noted to the council that money could be saved building the power house. 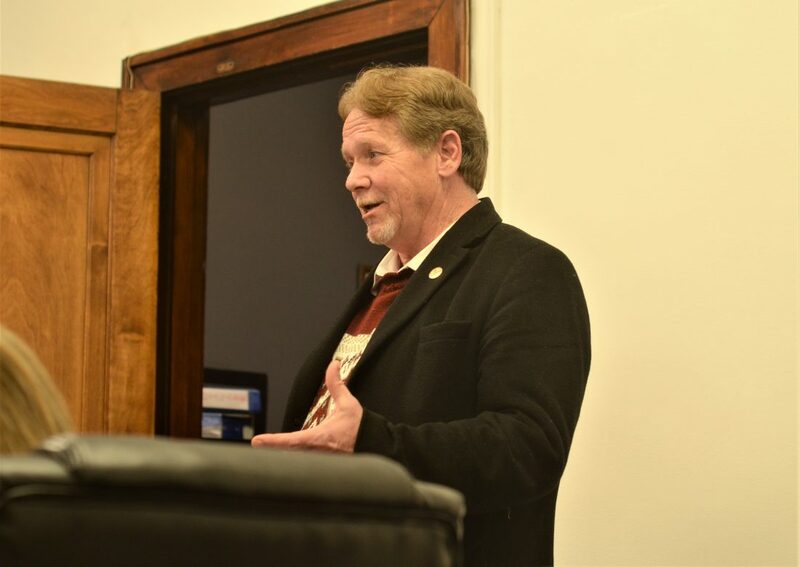 In 2017, Skelly said he would provide a new fishing area for anglers and will work to improve the fishing conditions for those on the Ohio side of the Pike Island Locks and Dam. This was due to the concerns from residents who love to fish at this location. He did say at this time the construction phase of his project could cause “fish strandings,” which occurs when aquatic life is found dead on the beach or shore, or floating in the water. Skelly said he has been to the location multiple times to get opinions from fishermen who favor that location. He wants to continue to make sure that this location would be a destination for the community. The Pike Island Locks and Dam has been in place since 1963 and spans the Ohio River between Ohio and West Virginia. Its West Virginia terminal is just north of the Warwood section of Wheeling, while the Ohio side reaches Yorkville. In 2014, American Municipal Power considered building a hydroelectric power plant at the Pike Island Locks and Dam, but eventually dropped the project. However, that company opened generating units at the Willow Island Lock and Dam in Pleasants County, W.Va. last year.